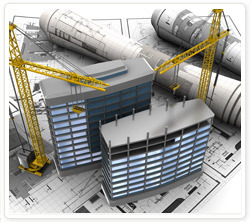 Evoluz Translation Services Canada and USA is a one-stop solution for construction and architectural translation needs. We have a diverse team of specialists who translate documents covering all aspects of the construction business process; technical, business, legal and financial. We are both Canadian (CAN/CGSB-131.10) and European (EN15038) Translation Services quality standards compliant. Various Construction Design Software; 3D, Computer Aided Design (CAD), Computer Aided Engineering (CAE), Computer Aided Manufacturing (CAM), etc. We only employ translators who are current or former professionals like civil engineers, structural engineering specialists, architect, interior designers, who have the expertise and knowledge and are qualified to translate your architectural documents. At Evoluz, to maintain and guarantee high quality of our translations, our translators are selected according to strict criteria in compliance with ISO 9001 and EN 15038 quality standards. Don't take our word for it, TRY US out today as many of Fortune 500 companies! !